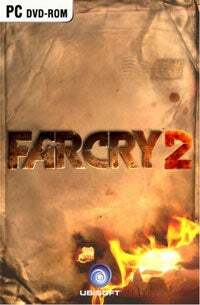 Eurogamer today hosted another of their LiveText chat sessions, this time around putting Far Cry 2 producer Louis-Pierre Pharand under the spotlight to answer questions about the fiery sequel. During the chat, Pharand spoke a bit about the multiplayer modes included in the game. The standard Deathmatch and Team Deathmatch modes will be joined by Capture The Diamond, which is like capture with flag only you're tasked with capturing a magical mushroom diamond instead, and a variation on VIP they've christened Uprising. He also discussed persistency, which will apparently be contained to the match or series of matches you are involved in, much like Shadowrun. "We decided that all persistency will occur within a match or a define series of matches," Pharand added. "That way, gamers will have a taste of all our great guns quickly. You will get upgrades within classes and it will allow you to be more tactical in your progression, depending of the type maps you play."